Every time I go Michaels craft store I look at how beautiful their Party Foil is but I never have any idea what to make with it! I recently picked up two packs; one in teal and the other is a light pink. After looking at them in my craft room for awhile I have finally decided what I want to do with them. My First idea was to make confetti out of it. With design space you can easily cut any shape you like out of the party foil to make your own custom confetti. Simply insert an image or shape. You can even make confetti letters using the text feature. You can also use a punch, I used a half inch circle punch to make the confetti seen below! After making the confetti I was reminded of one of my favourite quotes “throw kindness around like confetti” so I decided to make this framed decor piece featuring the quote and using Cricut’s party foil. I designed the quote on Cricut Design Space. You can see mine here. 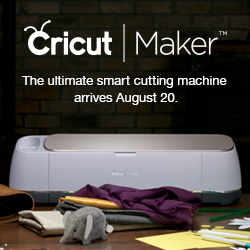 You should be able to follow the link and cut it on your own machine! If you want to make your own, you can do so by slicing your text with a rectangle. Once you cut your design on card stock, very carefully peel it away from your mat. Some of the tiny small pieces are easy to rip! Save all the little bits left on your mat because you will need some of those later. Next cut a piece of foil to fit behind the piece of card stock. Use your glue runner to secure it in place. Next you are going to need to get all the little pieces left on your mat and piece them back into your deign where needed. For example; you will need to add the inside of your O’s, A’s etc. If you have a pair of the Cricut tweezers they can be very helpful with this step. Use the glue runner and place them where needed. Next I made some more confetti using a half inch circle punch in both teal and pink. I used my glue runner to scatter these around my design. Now that your piece is ready you can add it to your frame and display it wherever you like! There will be another project in the next little while featuring this product! Check back here at the blog or you can follow me on instagram to get updates about new blog posts! 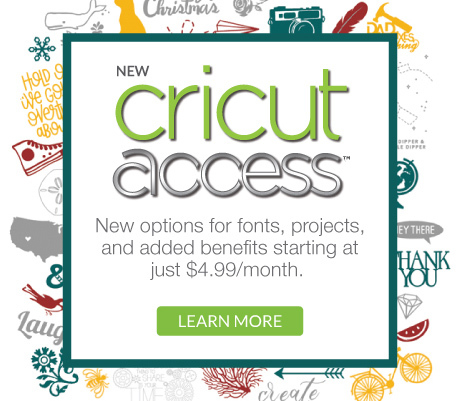 Have you purchased the Cricut Party Foil? What have you made with it? I’d love to see what you are making! Leaving a comment below or tag me on instagram! This is adorable & would look cute in a classroom!